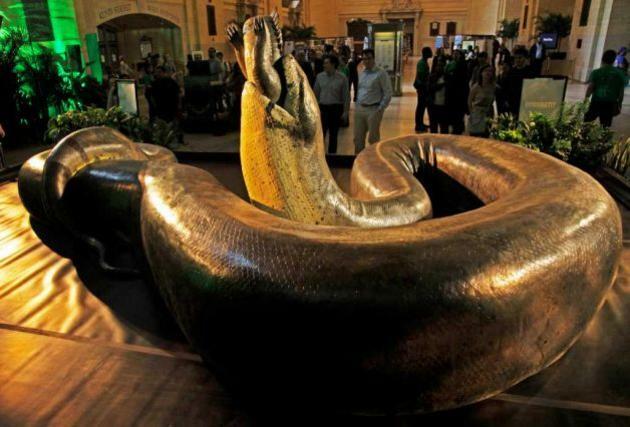 60-58 millions years ago in the swampy jungles of Colombia, lived Titanoboa (meaning Titanic Boa): a massive 48 foot long, 2,500 pound snake. Disturbing isn't it? 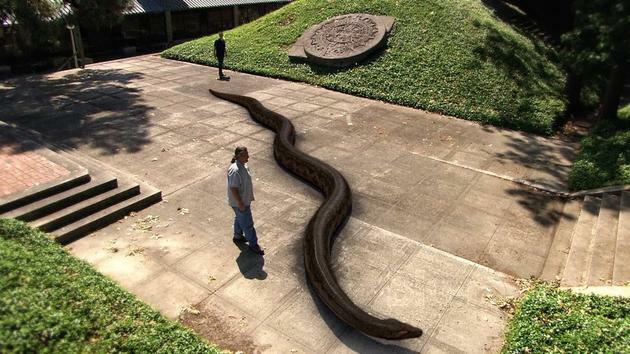 Titanoboa's size could be attributed to the climate it lived in. Warmer climates usually meant more vegetation, which resulted in prey that often grew bigger than most that lived in cooler conditions. 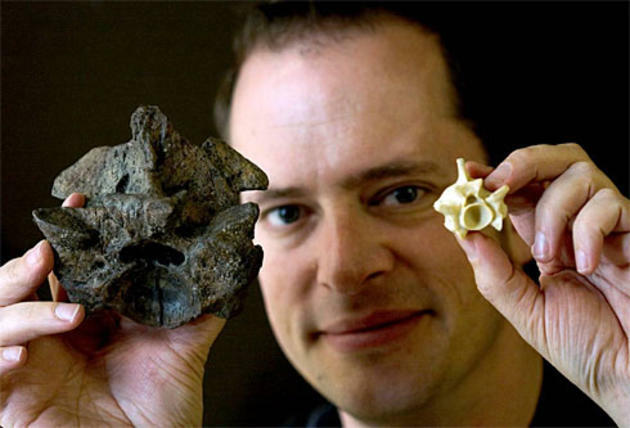 T-shaped spines and mega vertebrae, compared to snakes of today. 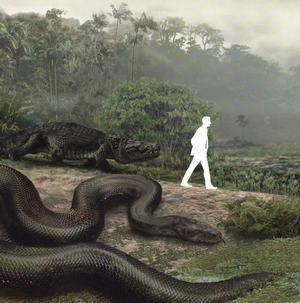 This colossal snake looked something like a modern-day boa constrictor, but acted more like today’s Amazon-based anaconda. It was a slithery swamp dweller and a tremendous predator, able to eat any animal that it hunted. The diameter of its body would be close to being as high as a man’s waist. In this swampy jungle of an oasis, life was surprisingly large due to the heavy non stop rain fall, bountiful vegetation and life in the area. Deep water from rivers flowing snaked around palm trees, hardwoods and occasional ridges/hills of earth. The river basin in which Titanoboa fed, held turtles with shells twice the size of manhole covers and crocodiles – at least three different species – at more than a dozen feet long. Also living at that time were 7 foot long lungfish, two to three times the size of their Amazon cousins of this day. This post has been viewed 81,936 times.